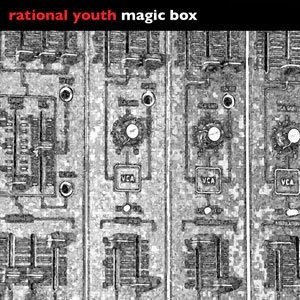 Artoffact Records have announced the release of 'Magic Box', a compilation which includes Rational Youth's live Recordings from 1983 as well as previously unreleased material. This three CD collection includes the double-CD Live 1983 and a third, limited edition CD that collects Rational Youth archive tracks, demos, 7" remixes, as well as solo tracks from Bill Vorn, Kevin Komoda, and Tracy Howe. The CDs also includes two tracks from the infamous "Affection" cassette, and a track from Heaven Seventeen, a pre-Rational Youth project. All tracks have been remastered from original tapes where possible. Limited to 390 copies worldwide. 'Magic Box' will be out on November 5th.